Every week I get a question or two about my iPhone, the question is usually what app is my favorite which usually leads to a conversation about resolution and finally ‘how do you back up your photos’. So because its the end of the week and this is when I usually perform my weekly back up I thought I’d dedicate my Mobile Monday post to the ever exciting topic of drum roll please. Now there are many ways you can back up your phone and I’m going to stick with showing you my routine, I’m sure there are better and even faster ways so if you have a tip please do leave them in the comment section. 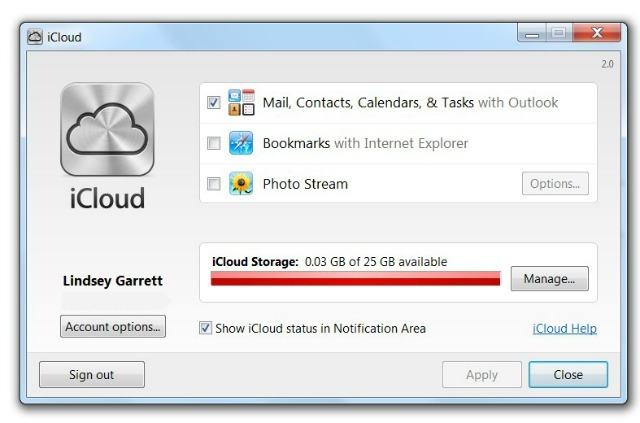 When Apple switched over from MobileMe to iCloud users were all given 5 GB of storage (for all of your combined Apple devices) to use for free. You can use that to save a copy of your photos as well as other documents like your mail but know that you will likely need to purchase additional storage. I purchased 25 GB ($40 USD a year) and quickly used up that allotment and I don’t even have Photo Stream checked off (I’ll get into why later). If you are like me and shoot and save at max resolution you burn through memory quickly. 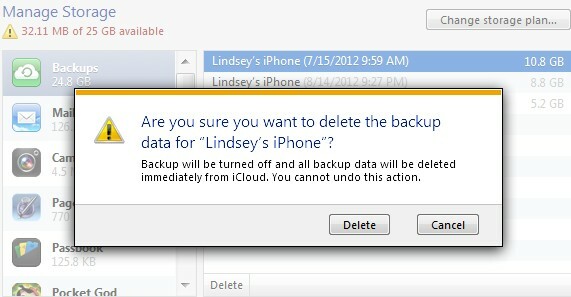 One way you can free up some space is by deleting old back ups. 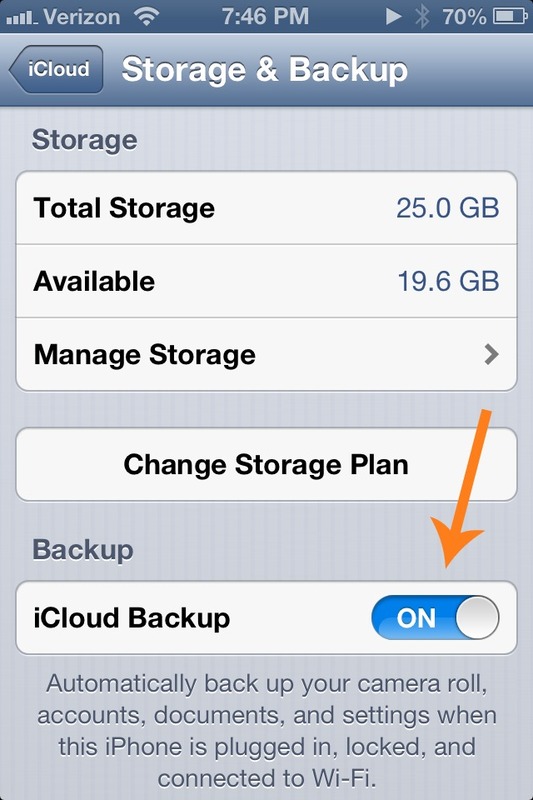 To enable the automatic back up go to Storage & Backup on the iCloud settings on your phone and make sure the iCloud Backup is toggled to the ON position. You can find cheaper storage solutions on Google Drive and DropBox. Apple’s Photo Stream service automatically uploads the photos you take or import on any of your devices and wirelessly pushes them to all your devices and computers, including your PC. You can take a dozen photos of your friends on your iPhone and the pictures will be ready to share with the entire group on your iPad (or even Apple TV) when you return home. 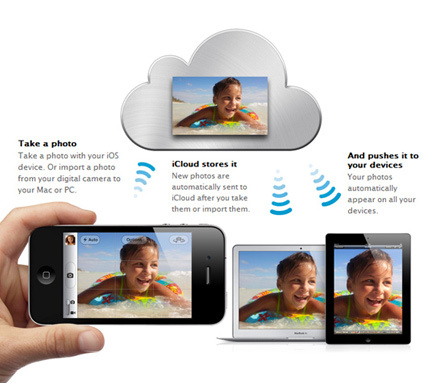 iCloud will store each photo in the cloud for 30 days, placing copies in each device (you must enable Photo Stream) via your WiFi network. I LOVE this feature and it saved me from losing a few days worth of vacation photos over the summer. When I received my replacement iPhone after dropping mine into the pool, it immediately synced with the Photo Stream, instantly downloading the last 1000 (max) photos. A portion of those photos I had not yet saved manually. The only thing you may lose is videos, as they are not (as far as I know) stored in the cloud. On Sunday evenings I connect my phone to my PC and open my iPhone like an external drive. I copy the images from the week, separating out the videos from images. I had my phone stolen and had I not had a back up I would have lost the last video taken before my niece’s accident. You can only imagine my gratitude when I realized that the only thing lost was a replaceable phone. 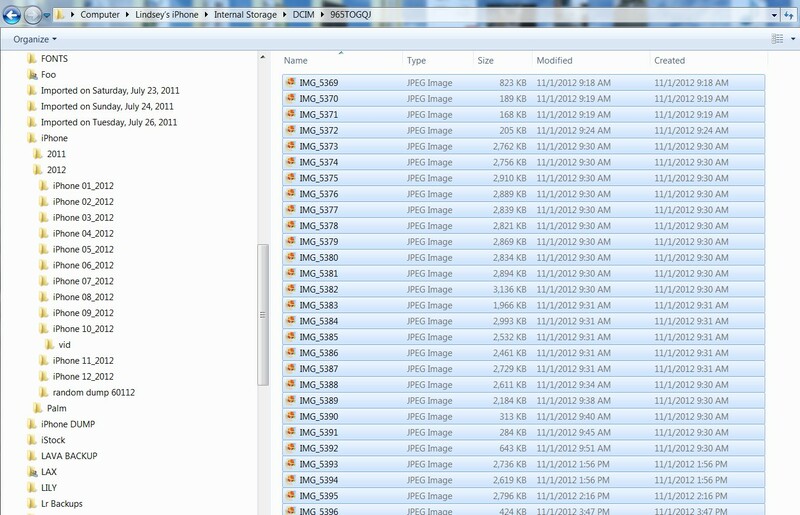 I create a folder in an external drive and then subfolders for each month. iPhone/2012/iPhone 01_2012. I do this so the folders will appear in chronological order. On the drop down menu you can choose to view files as Details this will let you see the dates making it easier to grab the correct week or month. Highlight by holding down the Shift key and pressing Page Down, this makes it fast to select hundreds of photos. Drag and drop. If you have accidentally tried to copy photos you have your computer will recognize the duplicate and you can choose to ignore, or not copy. 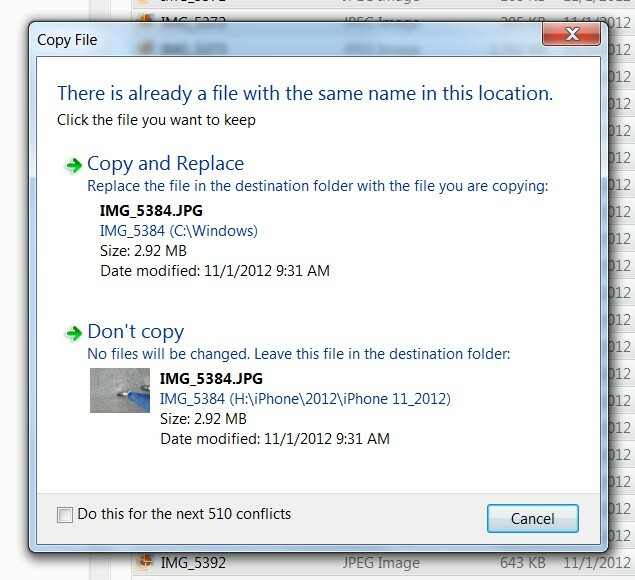 Once the copies have been made the photos will remain highlighted if you click on Delete the computer will ask you if you want to delete all images selected. If you are confident you copied them correctly (and sometimes I will just drag them over to the back up folder just in case but the compute will tell me they are all duplicates) you can hit Yes and the photos will be removed from your phone thus freeing up lots of space. 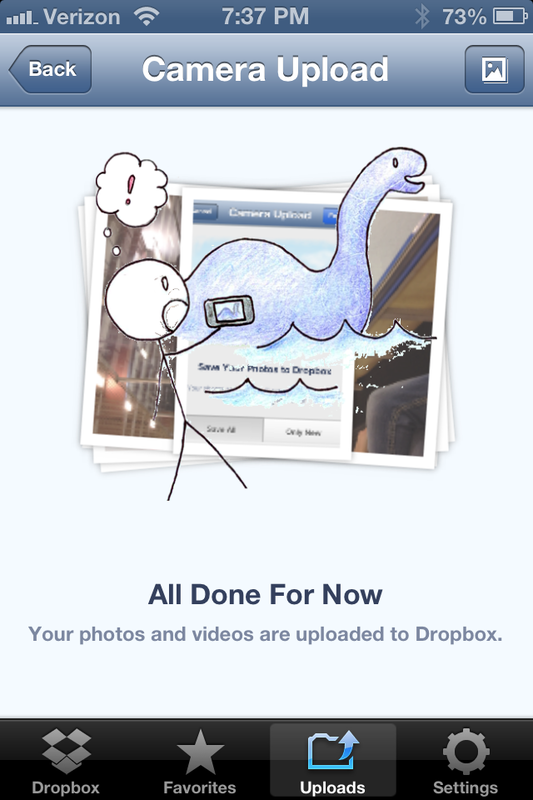 DropBox is another cloud based storage option. It is also available for Android phones. You get 2 GB right off the bat, and you can earn 500 MB per person you send a link to if they sign up as well. That has worked out well for me as I share clients work via a folder I drop the images in and they pull from the shared folder. You can also now share a folder with a Facebook Group. Enabling your phone (through the DropBox app) to upload new photos and videos will generate automated syncing. As soon as you add a photo or video a copy is placed within a folder called Camera Uploads. My desktop alerts me that new files were added to my DropBox. I like use this feature when I want to upload images from my iPhone while I work on desktop. The alternative used to be to email myself a copy of the photo. That is so 2010. I hope that my suggestions will help you decide which back up method is best for you. No matter what you decide any back up is better than no back up at all. Brilliant! thanks so much for all that great information, I am all set up now with my new iphone! what a seriously helpful post! So, so, so helpful, Lindsey!! Thanks so much! Thanks Lindsey. I recently discovered some of these options for my photo stream but you gave me more helpful info here. I’m always interested in ways to “lighten my memory load”. This post is a great start for more options with the external drive. Thanks Lindsey. This is really helpful. My phone is a total mess, with copies of photos all over the place and I have no idea what the resolution of anything is! I think I need an intervention but this looks like a really good start! good stuff girl. great post! fabulous!!!! i am ashamed to say that i don’t have wifi with my imac — but that i will be rectifying that soon. i have, however, finally purchased 2 external hard drives and i am finally current with my iphone!!! and i think everyone can relate to how relieved i feel — but i am going to get going on the wifi and then i will be even safer!!!! thanks soooo much for all your tips!! !